Corner Escondido & Agua Dulce Cyn. Rd. Corner of Escondido Canyon Road and Agua Dulce Canyon Road, looking east, early to mid-1930s. 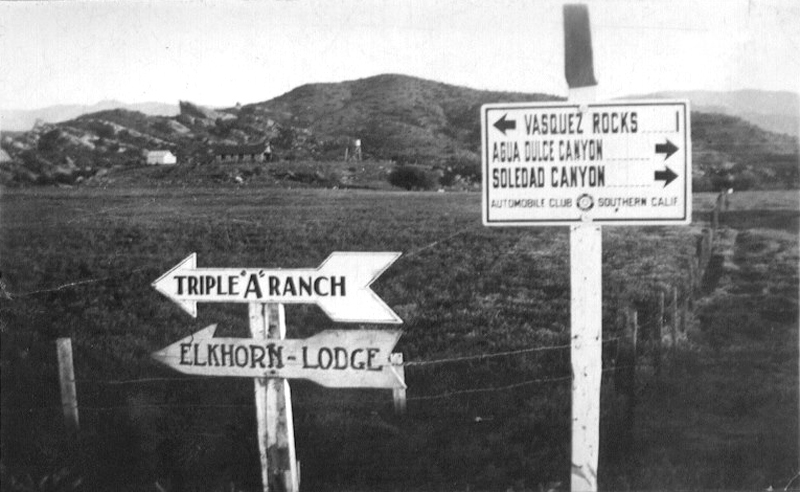 Automobile Club directional sign and arrow pointing to the Asher family's Triple A Ranch. TA3001: 19200 dpi jpeg from smaller jpeg.